Luxembourg-based mobile payments and loyalty provider Mobey is to launch its FlashiZ prepaid service in Australia by the end of this year. The company’s digital wallet supports both NFC and QR codes and is currently available online and instore at 500 merchants in Luxembourg, including Fischer bakeries, energy supplier Sudstroum and Vinci Park. To use the service, a customer needs to download the app, create a FlashiZ account and link a payment card or bank account to it before transferring funds into the account. They are then free to tap their NFC phone against a contactless POS terminal to make a payment, or scan a QR code placed either on the terminal or at the electronic cash register, depending on the merchant. The customer then gets a request to accept the amount entered by the merchant. After accepting the payment, the money is transferred from the customer’s account to the merchant’s account and rewards and discounts are automatically calculated in the FlashiZ app. 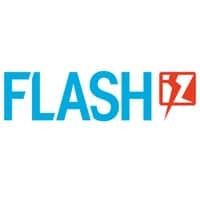 Fredrik Orrenius, COO for the Asia-Pacific region at FlashiZ, told NFC World: “To accept payments, smaller merchants need to download an app to their POS system, but with big merchants there is an integration required so it is more effort. After downloading the app and connecting it to a bank account, the service allows the user to combine payments with loyalty programs. The solution can also be used for peer-to-peer payments and location-based push marketing. “We decided to come to Australia for a number of reasons,” he added, “because the market is very attractive from different points of view. “Smartphone penetration is big in Australia and there is a high level of contactless cards being used; NFC technology can be seen all over the place so it is a good opportunity for our NFC solution to be successful. Despite the recent hype over NFC, it appears that the technology will not become mainstream before 2015-16. Paying with your smartphone still has no credible movement here yet – Commonwealth bank have been trying it with Kaching for years now. What merchant is going to extend already constrained resources for software for such a tiny install base of early adopters and nerds that HAVE to pay with their smartphone over a standard contactless card? Besides that.. Even the most dedicated early adopter/nerd is going to struggle with a seperate prepaid financial account, a more complicated user experience than just a contactless card.. Oh, and what happens when their smartphone battery goes dead? Paying with your smartphone still has no credible movement here yet – Commonwealth bank have been trying it with Kaching for years now. What merchant is going to extend already constrained resources for software for such a tiny install base of early adopters that HAVE to pay with their smartphone over a standard contactless card? Besides that.. Even the most dedicated early adopter is going to struggle with a seperate prepaid financial account, a more complicated user experience than just a contactless card.. Oh, and what happens when their smartphone battery goes dead?